Apple's CarPlay isn't even available yet but the rumor mill concerning future versions of the software is already churning. When available, you will have to plug in your iPhone running iOS 7 or later, in your car to use CarPlay. Wired connections are reliable in many ways but with wireless standards like Bluetooth, AirPlay etc. advancing, is it plausible to think that CarPlay will someday work wirelessly? According to reports, sources close to Apple have suggested that the Cupertino company is working on updating CarPlay in future iOS versions to make it work wirelessly instead of having to plug in your phone. That way, your phone can stay in your pocket at all times while behind the wheel. Most people who have used an AppRadio, for example, are aware of wires running in and out of the car dashboard and how messy that can get. Wireless connections will eliminate that clutter. The only issue could be charging your phone simultaneously while using CarPlay wirelessly. For that, wireless charging will also have to be developed. Wireless charging may not be that far off either. iOS 8 is Apple's next upgrade of its mobile operating system. 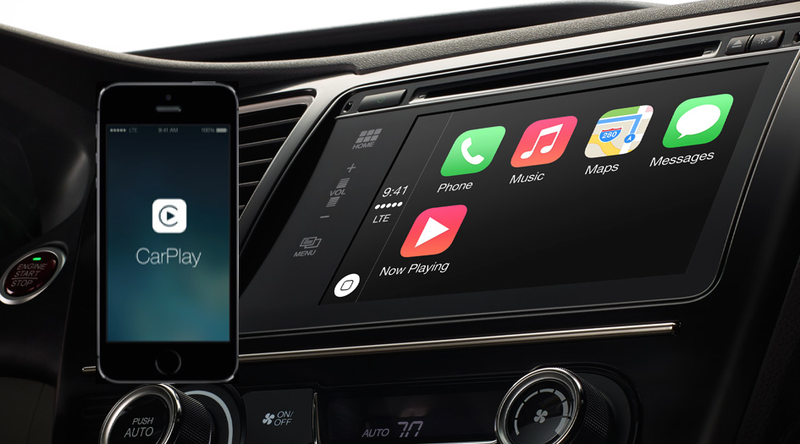 Wireless CarPlay in iOS 8 may be far-fetched. Cars will also have to be equipped with a wireless module (most new cars are getting wireless network hubs) to allow connectivity with your iDevice. As far as aftermarket solutions go, head units will need an in-built wireless adapter. Bluetooth 4.0 is a very robust platform which is capable of handling CarPlay or AppRadio Mode. If Apple chooses to go the Bluetooth route (which seems more likely), the path to wireless CarPlay could be a lot easier.